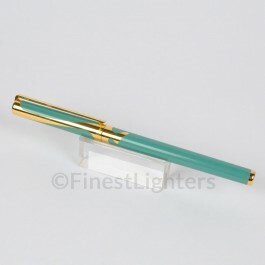 Art Nouveau fountain pen is part of one of the earliest Limited Editions made by S.T. Dupont. The pen is finished in authentic green Chinese lacquer with gold arabesques, one of the main symbols of the Art Nouveau style.